Anderson Ranch Reservoir is showing in this submitted photo. BOISE – A bill that would help resolve a long-running court battle over how flood control releases from the Boise River system should be accounted for is sailing through the Idaho Legislature. House Bill 1 would help end a lengthy and costly legal battle between the state and water users in Water District 63, which spans from Boise to Parma in southwestern Idaho. About 350,000 acres in the region are irrigated by water from the Boise River system’s reservoirs. It was the first bill introduced in the legislature and passed the House by a 67-0 vote. The Senate Resources and Environment Committee on Jan. 30 voted unanimously to send it to the Senate floor with a “do-pass” recommendation. The Idaho Department of Water Resources and a group of Treasure Valley water users have fought over the issue of flood control accounting for years. Water is released from the Boise River reservoir system seven out of 10 years, during winter months, to prevent spring flooding in the state’s most populous area. Irrigators, who own the most senior water rights in the valley, say those flood control releases should not count against the rights they have to water stored in the reservoirs because they occur during a time when canals and irrigation ditches aren’t operating and they can’t use the water. They say that counting those flood control releases against their water rights could result in a catastrohphic situation where farmers and other irrigators run out of water in the middle of summer, long before crops are harvested. IDWR officials say the releases should count against water rights and claim the way the department accounts for flood control releases actually protects the storage water rights of all water right holders, senior and junior, and ensures the water is used for maximum benefit. Judge Eric Wildman, presiding judge of the Snake River Basin Adjudication Court, ruled in favor of the state in 2016. Water users appealed that ruling to the Idaho Supreme Court. Rep. Scott Bedke, R-Oakley, the bill’s sponsor, told the Senate committee members during a public hearing on the legislation that the issue is very complex but the bill is simple. “It’s a rather simple answer to what ended up being a multiple year conflict here in the Treasure Valley,” said Bedke, the speaker of Idaho’s House of Representatives. 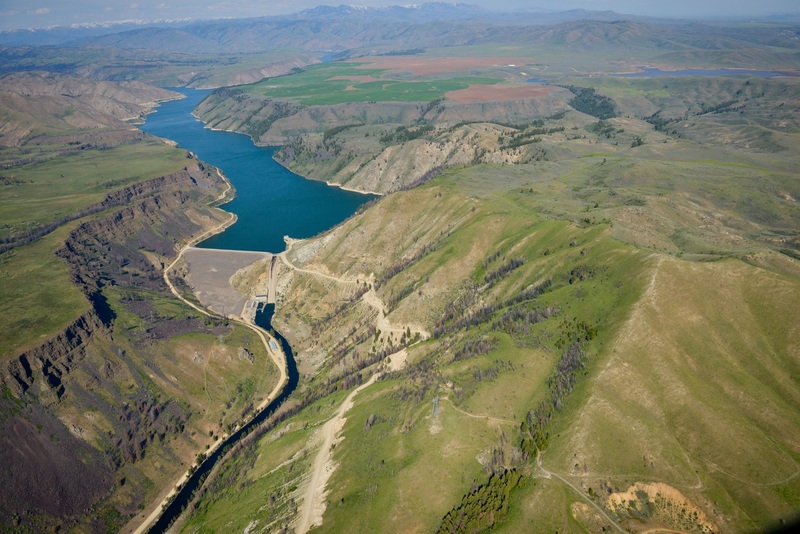 The bill adds a short section to Idaho Code that ensures any new water storage projects do not interfere with existing reservoir storage rights. As a result of a proposed settlement agreement reached between the state and water users last year, both parties agreed to put the Supreme Court case on hold. It has been stayed until Nov. 30, 2019. The bill is just one of several facets of the settlement agreement. If all are met, the case before the state’s highest court will be dismissed. If not, either side could continue with the appeal. If HB 1 is approved by the Senate and signed into law by the governor, the settlement agreement still has to be approved by the SRBA court. In answer to a question from the committee, Bedke said the legislation does not change Idaho’s prior appropriation doctrine, which holds that the first person to put water to beneficial use has the most senior right if there is not enough water for everyone. The dispute over how flood control releases are accounted for was a major concern of Treasure Valley irrigators, who formed the Treasure Valley Water Users Association as a result of it. During the Senate public hearing, 26 people signed up to testify, all of them in support of the legislation. Since it will be applicable to everyone in Idaho, every water user stakeholder had an opportunity to weigh in on it, Bedke said. IDWR Director Gary Spackman also blessed the legislation, calling it a good compromise between the parties. “I’m grateful for everyone’s participation behind me,” Spackman said in reference to a packed committee room full of many of the main players in the state’s water user community.